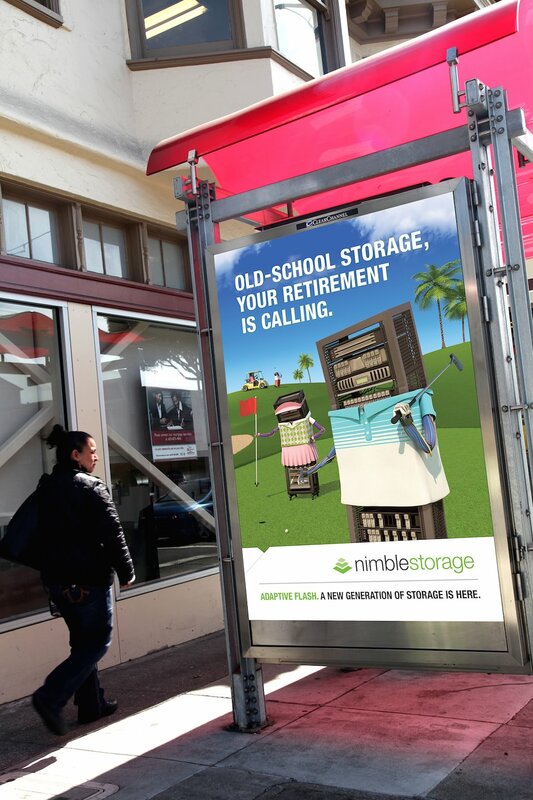 Nimble Storage - "Golden Years" - Hugh Gurin – Copywriting. Content. Creative Direction. 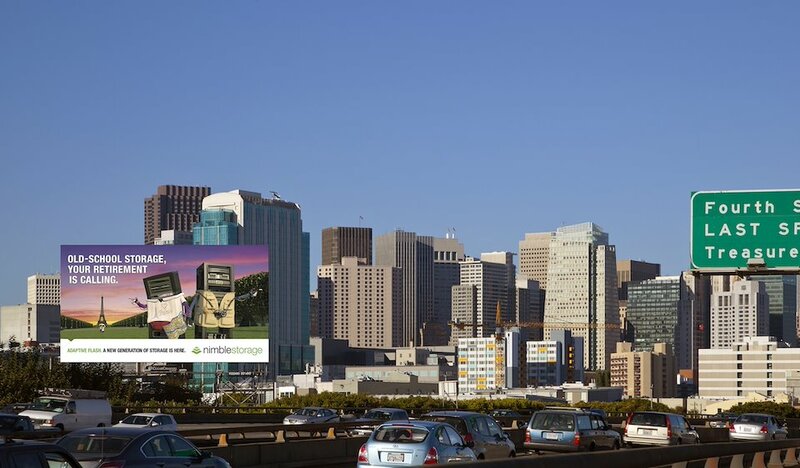 Out-Of-Home. Copy: Hugh Gurin. Art Direction: Jason Rothman. Copy: Hugh Gurin. Art Direction: Jason Rothman. VFX: Argaman Creative. Digital storage is a beast. According to IDC and EMC, the digital universe will amount to over 5,200GB of storage per person on the planet by 2020. Nimble’s Adaptive Flash solutions help large organizations manage that mess without going broke or insane. To publicize the need for a new approach, we introduced the world to Ned and Edna – a kindly pair of HDD servers who are just about ready for the shuffleboard-and-4:30-buffet -circuit.